Located in the heart of London, The New Covent Flower Market is the best and biggest flower market in the UK. 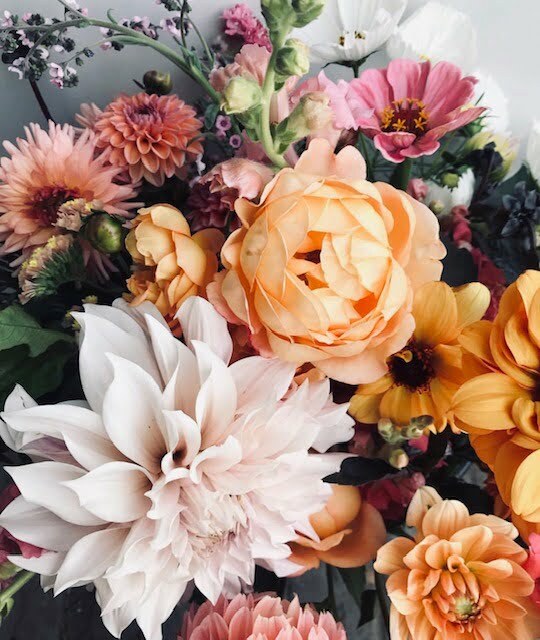 With over 30 expert wholesalers offering flowers and foliage from all over the world – It is essentially everything a florist needs under one roof! We will be joined by renowned florist Gus Cavanagh from Augustus Bloom to provide you with inspirational day. The day is kicked off with a tour of the market, you will be introduced to the suppliers as well as having some free time to explore. Gus will then guide you through his personal/practical approach to running a flower business and will finish up with a flowery demo. It is a long day with a Bath pick up at 4am but hopefully the enjoyment of the day will keep you going until we arrive back in Bath at 4pm?!? Going in to the market was a great experience, I absolutely loved the whole atmosphere.